Understand your Happiness, finally. 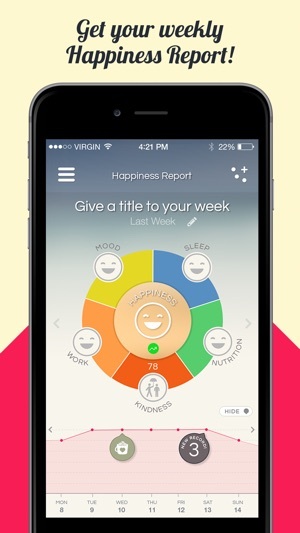 Exciting and fun happiness analytic and mood diary app. An awesome way to deal with your happiness in life. 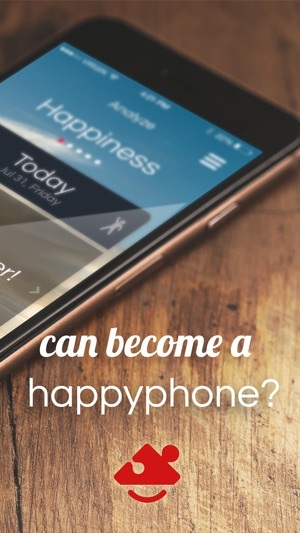 Based on happiness science methodologies, engaged users are more mindful, more grateful, kinder and yes.. happier! 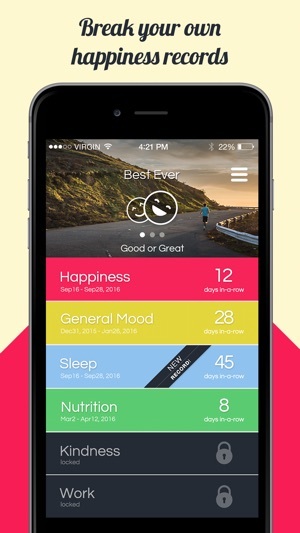 Track & analyze aspects of your life that science has shown have an impact on your happiness: your mood at work, your sleep quality, your general mood, your nutrition feeling, and whether you've been kind to others. 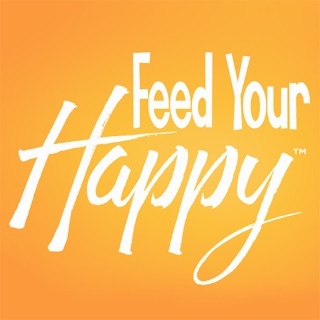 You will see your overall happiness score and how it has increased or decreased during the last weeks or months, how satisfied you are with your life, the last time you did something kind, the last time you slept well, and much more. Get your special weekly Happiness report in a beautiful view. Add your Gratitude, Bucket list, get wise advise of how to be happy and more. The best Mood Diary out there. Connect with your friends and follow up on their wellbeing in a beautiful experience. They will be there to give you their support, and eager to receive yours. Understand your Happiness! Track and analyze how you feel, being kind, grateful and more. Add your life dreams and follow up to fulfil one day. 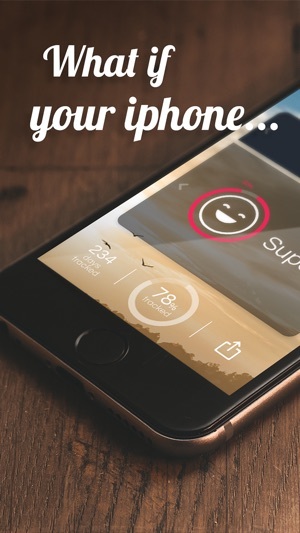 Engaged users are more aware of how the live, kinder, grateful and yes, Happier! 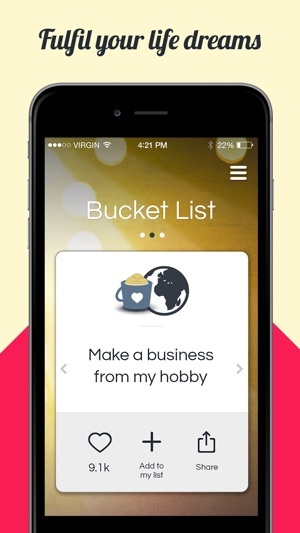 Happiness features, bug fixes, better experience and more in this release. Thank you for using analyze.life, we’d appreciate any feedback. I enjoy using this app because it helps me keep track of my daily life, the goods and the the not so good days!!! Keep up the good work we really appreciate everything you do!! I love this app!!! The suggestions on how to improve are really helpful!! © 2018 Simply Vision Tech Ltd.